We firmly believe we offer tremendous opportunities to every student to fulfil his or her potential. The Sixth Form Tutor team offer guidance and help whenever needed. 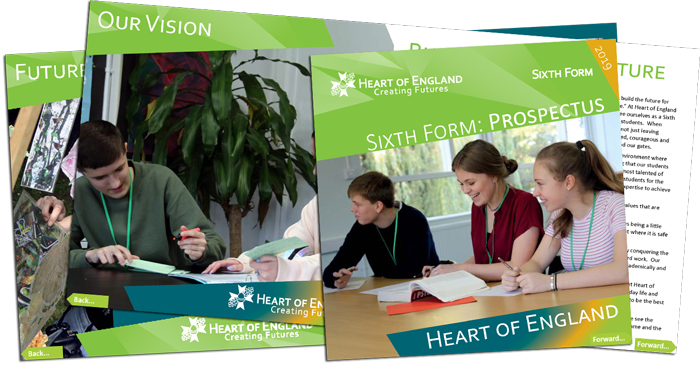 You, as a student, will be encouraged to work diligently, develop independence, self-confidence and an awareness of others and in return we expect a high level of responsibility and commitment in the Sixth Form Centre, school and community. Closing date for all applications was January 2019. If you wish to request that we consider a late application please contact Mrs Davis via email: DavisS@heart-england.co.uk.